Tattoos with lettering have been in existence for centuries, but Old English tattoos have really seen a surge in popularity recently. This type of lettered tattoo is seen on both men and women, and in many different body locations. Old English tattoos, and Old English lettering, are actually inaccurately named. The font, or lettering style that is known as Old English was called this because of the mistaken belief that it was the font used to write in Old English, the language. In fact, Old English as a language was around for many years before the lettering came into existence, and while some texts in this form of English were written in this format from the years 1150 to 1500, it was not the only form of lettering used to write Old English. The font called Old English today is more properly known as blackletter, and it is a type of script that was started in the 12th century in Europe. 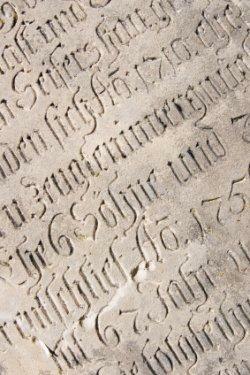 This lettering style was the preferred type of writing in western Europe until the 16th century, and continued to be used commonly in the German language until the 20th century. Other names for Blackletter are Gothic script and Gothic minuscule. Modern fonts have replaced Old English lettering. For the most authentic and beautiful Old English tattoos, the form of Blackletter known as textualis can be used. This form of the lettering is the most calligraphic, with many flourishes and ornaments used to make the letters stand out. When most people think of Old English or Gothic fonts, this is the version of Blackletter they are considering. Most of the important books prior to the year 1500 were written by hand in this very time consuming script, and there are many examples of this beautiful work that can be seen in museums and libraries, and also on the bodies of tattoo enthusiasts.Old English was originally written by hand, so while the style of your Old English tattoo may be similar to others, it can be slightly different depending on which version of the font was used. Some tattoo artists use a standardized print out of the font to work from, while others create Old English in the traditional style, by hand. 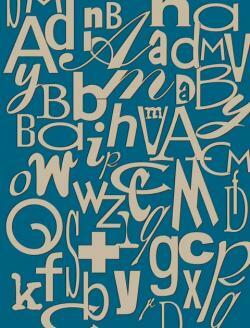 After you have chosen the Old English lettering style for your tattoo, you need to choose what your tattoo will say. Some people choose to have a word that means a lot to them, such as "believe" or a saying like "I love you" tattooed in this script on their bodies. Others choose to get a name tattoo in this font - which can be the name of someone they love, honor or admire. Most of the people who choose to get this style of tattoo are male, and they will pick a spot on their bodies where the font and size of the lettering will fit well. Old English is ornate, so small letters are not easy for tattoo artists to create - larger letters are more easily inked. For this reason, Old English tats are often seen with large letters on the chest or stomach of an individual, where there is plenty of room to work. 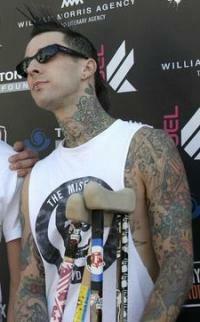 Travis Barker has an Old English tattoo. Musicians are famous for using the Old English lettering style to get tattoos. One of the most well-known people with these tats is Tommy Lee, but other male artists are also known to have this type of tattoo.Travis Barker has a very large Old English tat on his stomach, which states: "Can I Say", the name of an album from his favorite band. These two are just a couple of the celebrities that have Old English ink.